It was good seeing and I tried make a few shots of the sun. Details spots I took by new camera ZWO ASI120MC over Baader Solar Continuum filter at twice magnification through the 2xBarlow. 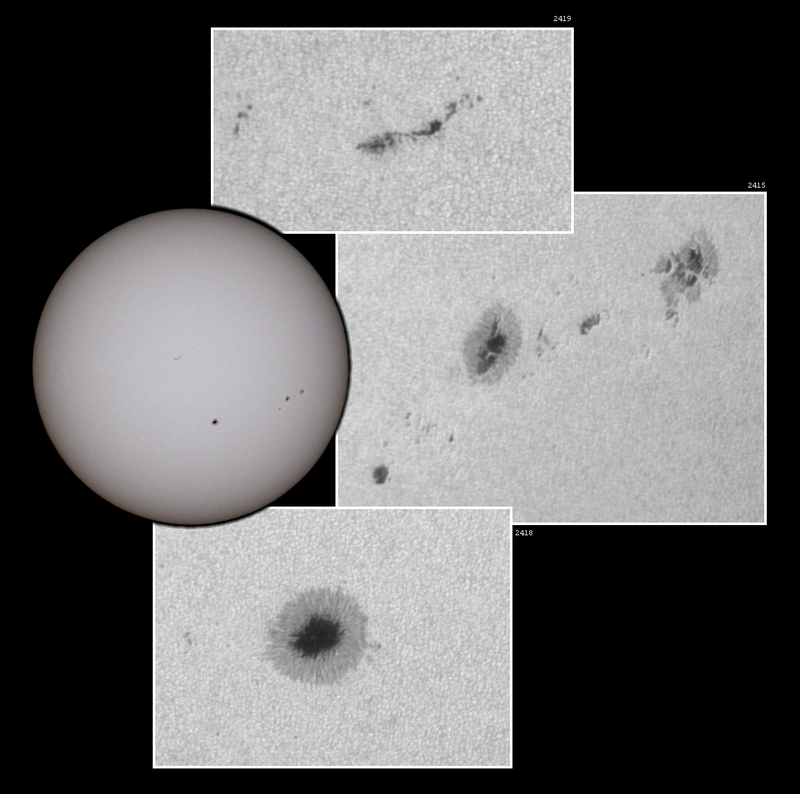 Sunspots 1579 a 1582 and detail 1582. I tested a new filter Solar Continuum. 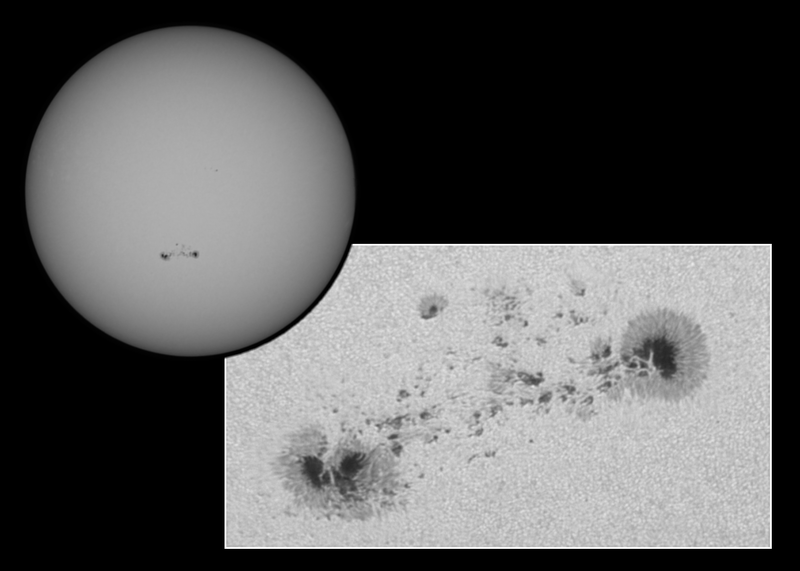 Sunspot 1476. NexStar 6SE, DSLR Nikon D90. 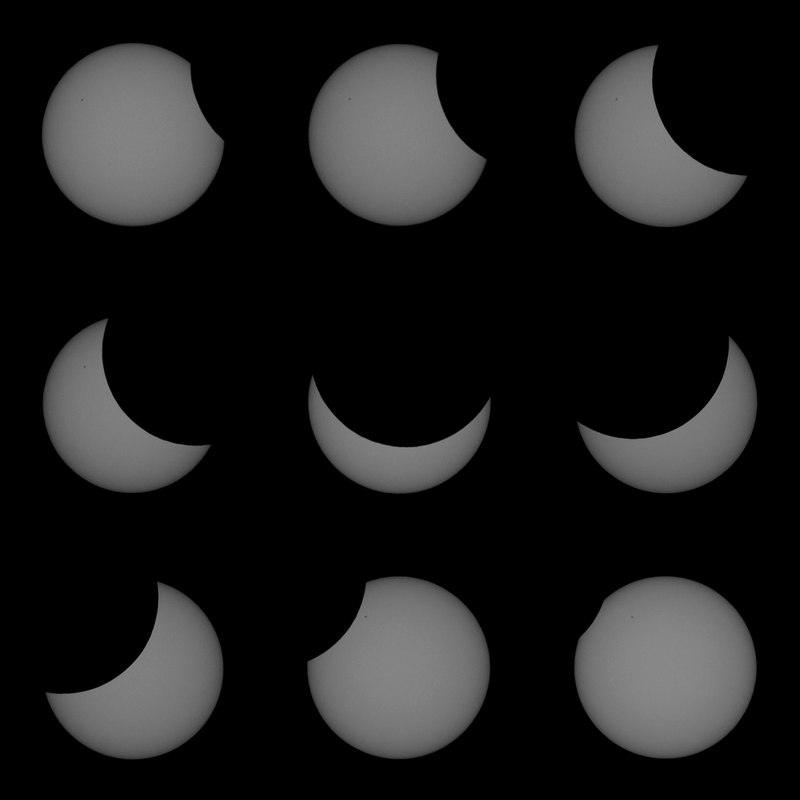 ISO 100, 1/320. Detail taken by camera Neximage and barlow 2x. 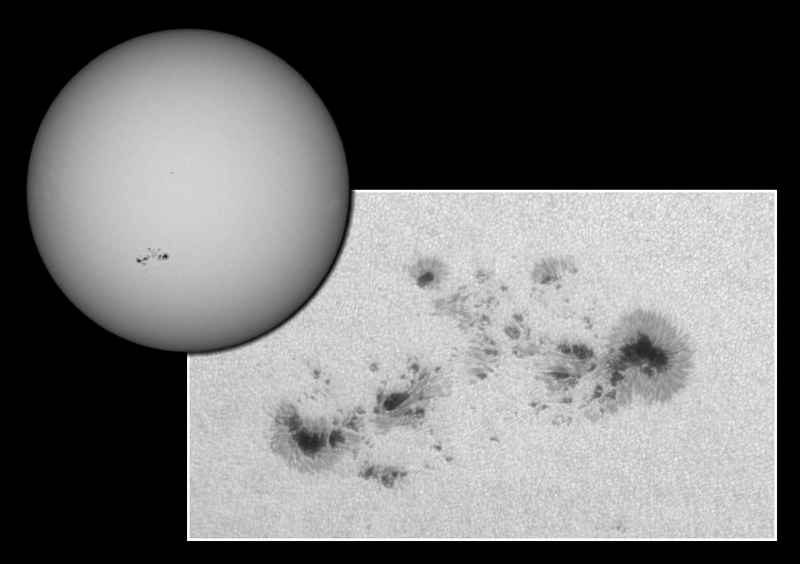 Sunspot 1471. NexStar 6SE, DSLR Nikon D90, ISO 100-1/320. Detail by camera Neximage and barlow 2x. 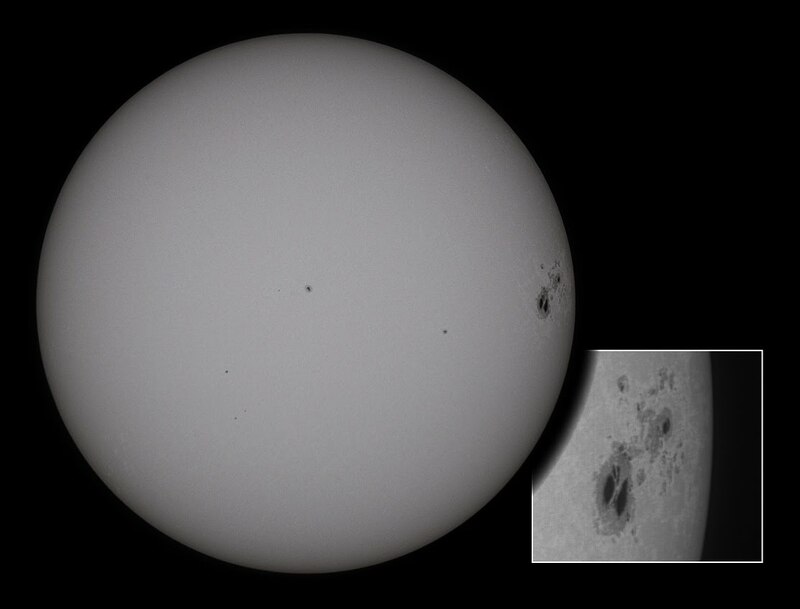 My first picture of the sun through the NexStar 6SE. Nikon D90, ISO 200 - 1/400.